To use iMessage you need to activate it on your iPhone, iPod Touch or iPad. 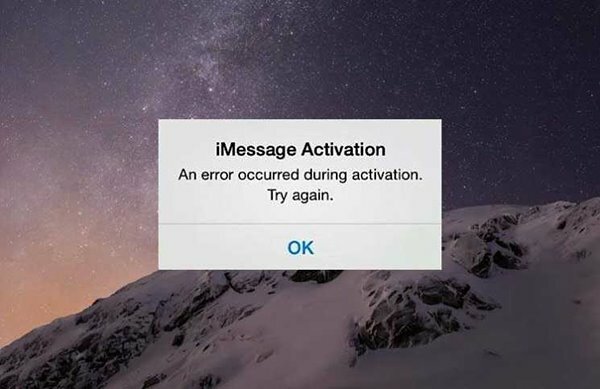 During the activation process, you might encounter iMessage Activation Errors, which appear inform of messages, "Activation unsuccessful", "Waiting for activation," "Could not sign in, please check your network connection", or "An Error occurred during activation". Overall, the process of setting up & activating iMessage doesn't usually work smoothly for everyone. If you are tired of iMessage activation errors, we are happy to inform you that you have come to the right place. 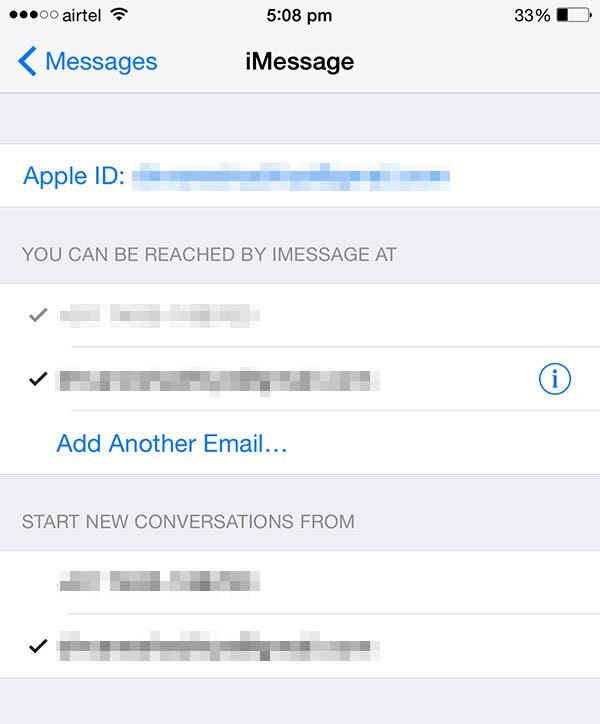 This article outlines all fixes for iMessage Activation Errors. Part 2. Can You Activate iMessage Without a SIM Card? Before you can start fixing iMessage "Waiting for Activation" issue, you need to sort a few things out. Confirm that in the iPhone app (Contacts), you've got your number listed (My Number). It should be on top of "Contacts". If not, then tap Settings> Phone> My Number and then enter your phone number. Make sure that Date &Time (under General) are correct. 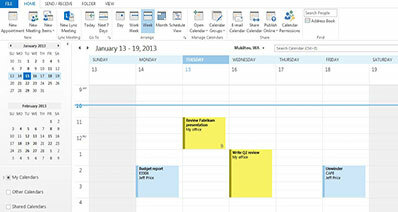 If not, go to Settings> General> Date & Time and then ensure that "Set Automatically" is ON. 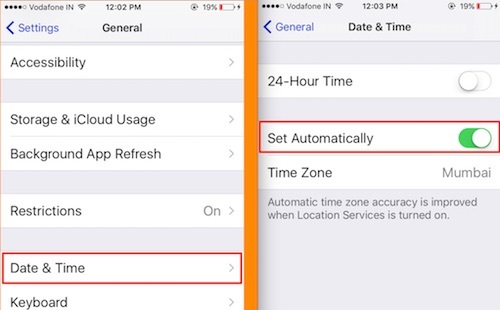 In case "Set Automatically" is ON, but the incorrect time zone is displayed, ensure that you turn "Set Automatically" OFF and choose the correct time zone, date & time. Then you can turn "Set Automatically" ON again. Step 1. Make sure Cellular or Wi-Fi is enabled. Open Settings> General. Step 2. Tap on "About", and if there's an update available, you'll get the option to update it. Step 3. Then tap the Settings app> Messages and turn OFF iMessage, restart your iPhone and turn iMessage back ON. You should be able to see the version of the carrier settings just next to Carrier. Note that when you insert a new SIM card into your iPhone, you need to download the carrier settings for your new carrier. Make sure you're connected to a stable Wi-Fi or cellular data, and you can send messages. Open the Settings app> Wi-Fi/ Cellular> Turn OFF the switch and then reboot your device and turn ON Wi-Fi/ Cellular. 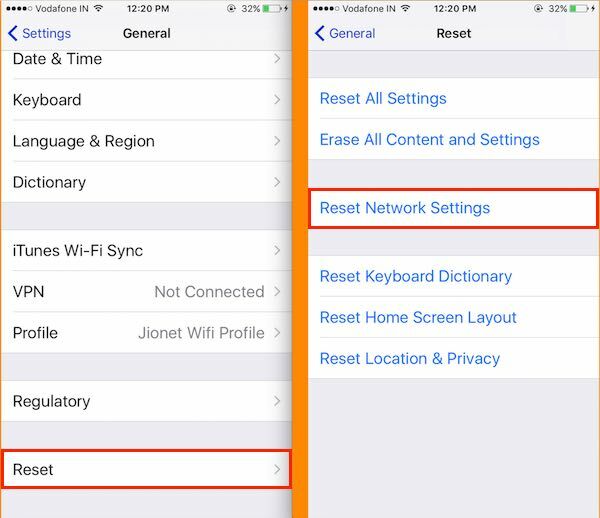 If it's still not working, try to reset your network settings. Go to Settings> General> Reset> Reset Network Settings. 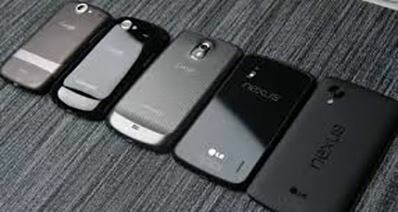 This deletes all the existing network settings and returns them to factory settings. Step 1. Go to Settings> Messages> Turn OFF iMessage. Step 2. Reboot your iPhone simply by holding both the ON/OFF button and the Home buttons at once for about 10 seconds. To hard reset iPhone 7 or 7 Plus, you need to press & hold the volume down and the Home buttons. 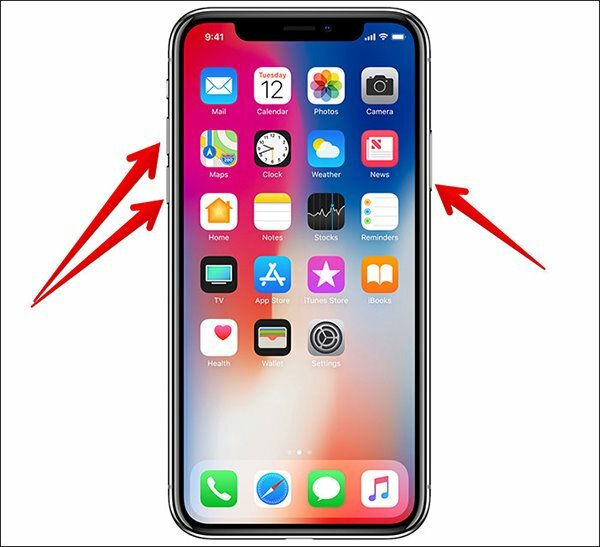 For iPhone 8 Plus, 8 or iPhone X users, press and quickly release the Volume Up button and then press and quickly release the Volume Down button. Next, press and hold the "Slide button" (Power ON/OFF button) until you see the Apple logo. Step 3. When your iPhone has restarted, turn on iMessage. Step 1. Go to Settings> Messages, scroll down and tap the "Send & Receive" option. Step 2. Tap on your Apple ID and select "Sign Out". Step 3. Switch OFF iMessage. Wait for a while, turn ON/OFF Wi-Fi and switch ON iMessage. Solution 5: What If the Above Steps Doesn’t Work? Step 1. Make Sure that Your iPhone Has the Latest iOS Version. Update your iPhone to the latest version of iOS. Tap on Settings> General> Software Update. In case there's no update available, you can restore your iPhone with iTunes. 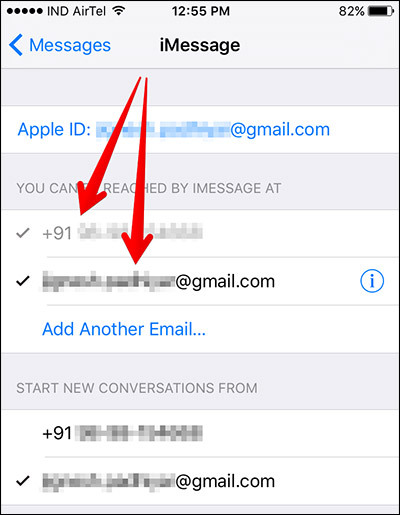 Block on text messages, filters and other limiting conditions will always prevent iMessage registration. Contact your carrier support team just to verify that you can send or receive messages. For some iPhone users, the message for activation is sent as an international SMS. So you need to make sure that your carrier permits you to send international SMS and that you have sufficient amount to send them. If the problem continues even after updating your device to the latest version of iOS or restoring it with iTunes, contact Apple Support. Yes. 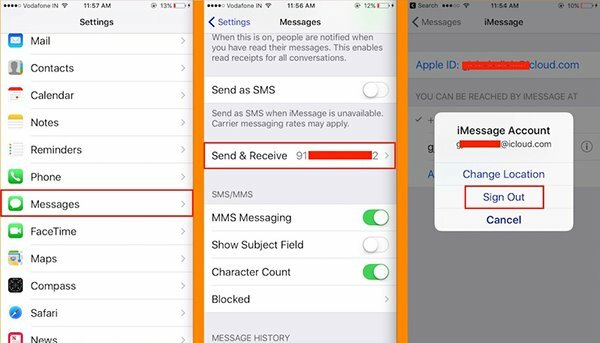 But note that when activating iMessage for a phone number, your iPhone sends a silent SMS with a verification code, and carriers approved by Apple may charge for that SMS. This means that if you activate iMessage without a SIM Card, you'll only activate iMessage for your Apple ID email address and not your phone number. 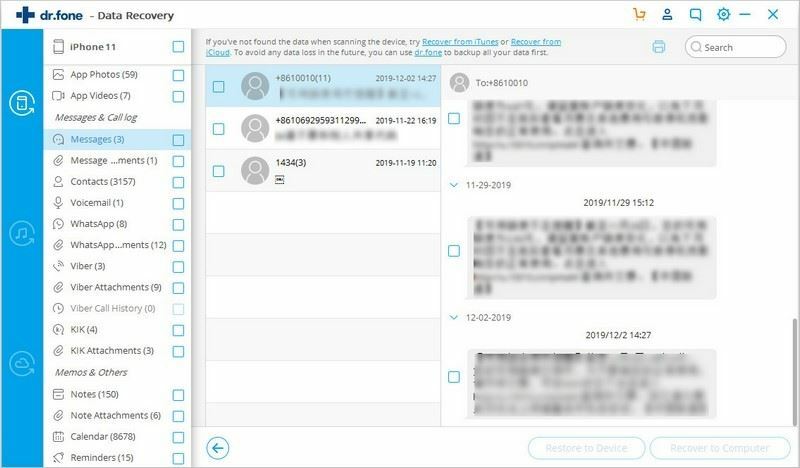 Whether your iOS device was stolen, damaged by water, locked & you forgot the password, or you lost your iMessages by accidental deletion, factory reset, iOS system crash and more, you need iSkysoft Toolbox - iOS Data Recovery to retrieve them. 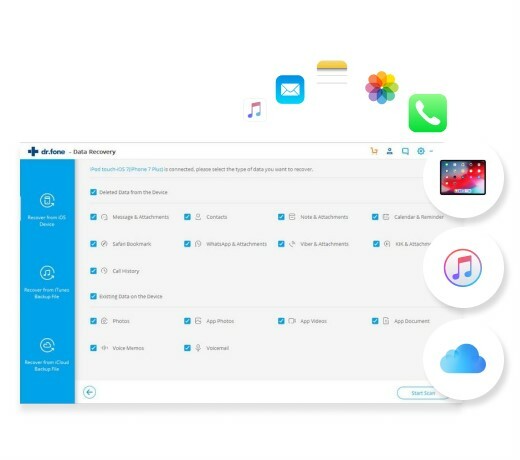 This one-stop powerful iOS data recovery software lets you restore not only iMessages, but also videos, contacts, call history, voice memos and other 20+ types of data lost from various data scenarios. 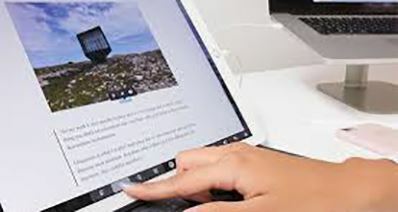 The software is easy-to-use, thanks to its intuitive interface. 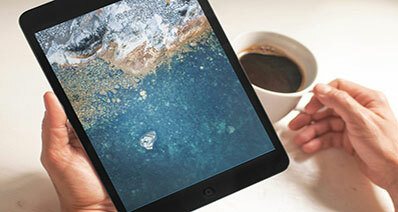 Compatible with the latest iOS system (iOS 11) and supports all iPhone, iPad and iPod Touch). Runs on both Mac Windows Operating Systems. 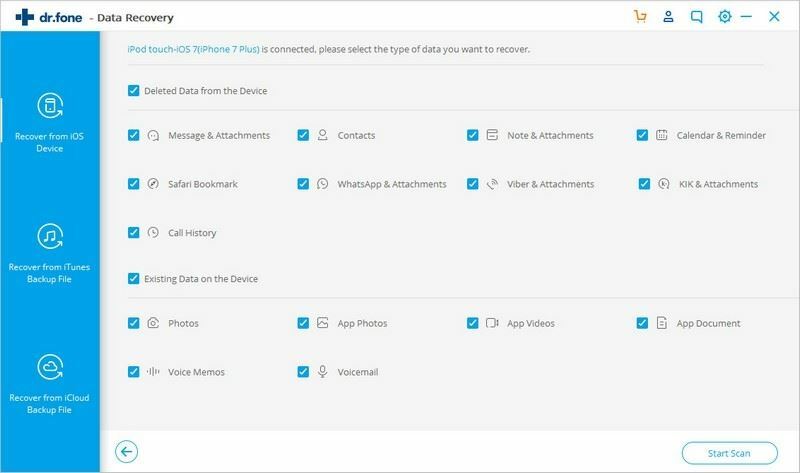 To increase your chances of getting the lost or deleted iMessages or text messages, you should stop using your iPhone instantly, after you realize that your data is missing. Continued operation after the data loss can overwrite the lost or deleted data, resulting in permanent loss of your data. Download & install iSkysysoft Toolbox iOS either on your Mac or Windows PC, then use the USB cable to connect your iPhone to the computer. Make sure that you've tapped the "Trust this Computer" option on your iPhone. After a successful connection, click the "Data Recovery" menu on the left side of the software's window. By default, you'll be navigated to "Recover from iOS Device" window. In the main window of "Recover from iOS Device", you should be able to see 2-options; Deleted Data from the Device as well as Existing Data on the Device. You are free to choose the one to scan, or both, and you can even check the file types in any of these two options to scan based on your needs. Select the "Start Scan" button, and let the software find your iMessages as well as other files you may be looking for. The process can take time, but if you see that the data you are looking for is there, you can click the "Pause" button to stop the process. After a successful scan, the results are generated and displayed. Choose the file types on the left side and preview the found data. 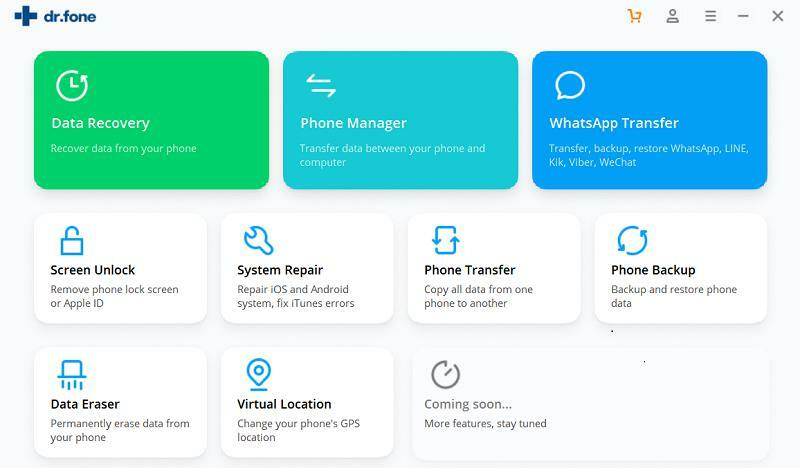 Once you find your iMessages or any other data you want to recover in this best iPhone data recovery software, select them by ticking the checkbox located in front of the file types. Then click "Restore" located at the bottom of the current window. The data you selected will be saved to your computer by default. 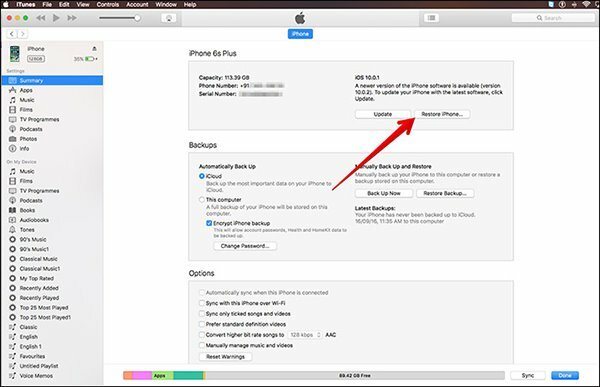 However, contacts, notes and iMessages, there will be additional options such as "Restore to Device" and "Export to Computer".